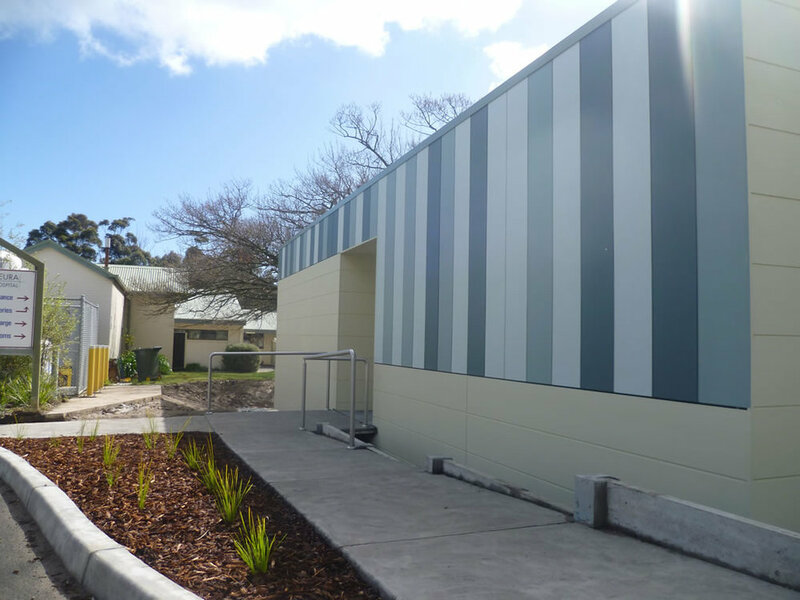 This private hospital at Mornington asked us to look at three wards within the hospital. 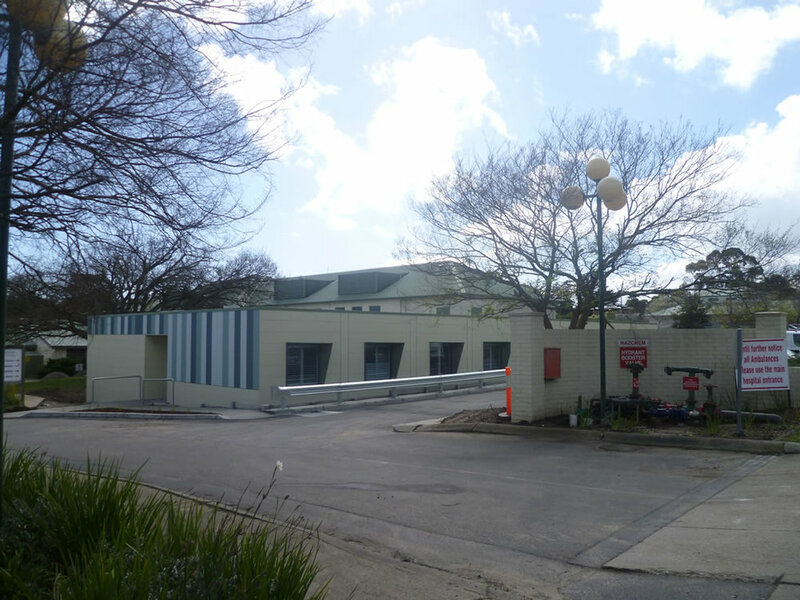 The Orchard Ward is a new oncology wing providing chemotherapy treatment for overnight and day patients. 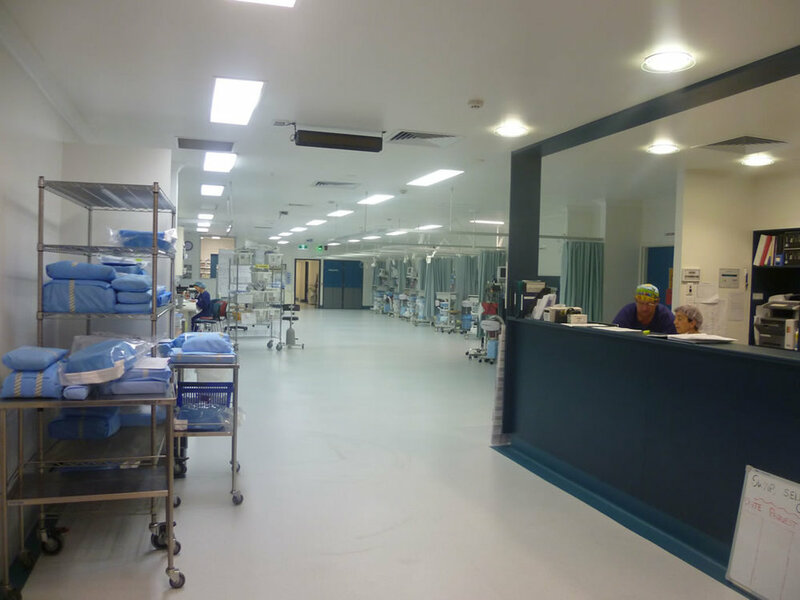 The Nepean Ward includes four operating theatres, decontamination areas, recovery and holding bays, reception, amenities, staffroom and various storage facilities. 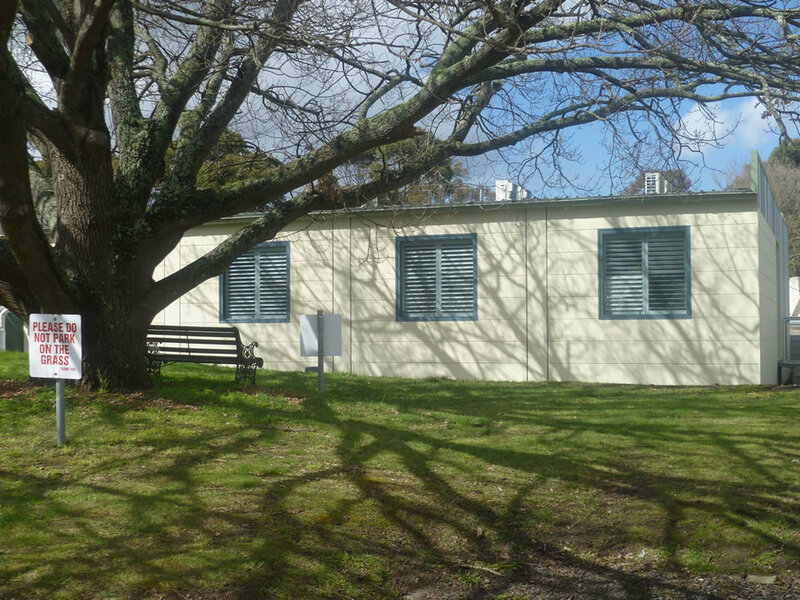 The Eliza Flinders Ward involved the reconfiguration of consulting rooms, patient overnight rooms, dining room, administration and storage areas. ESD initiatives included new carpet with 35% recycled content green star certified, specially coated low maintenance, low VOC, 100% recyclable, use of natural resources and chemical cleaners, low VOC paints, low formaldehyde board, energy efficient light fittings, water efficient fixtures and fittings and sun shading to external glazing.